Welcome to our Parisian style bedroom ideas. Everything about Paris comes with a worldly charm. Whether it is their food, architecture or their fashion sense- it’s all laid out so perfectly that you just cannot stop yourself from falling in love with it. Living in a posh Parisian apartment is something we all secretly aspire. The high ceilings, the spaced out look, the ultra chic décor and of course the put-together accessories – every bit of a Parisian home is super stylish, just like their fashion sense. If living in a Parisian themed house is your idea of a home sweet home, then let’s just say you are about to make your dreams come true. All you need to know are these fine detailing and décor styling tips to make your home look like a Parisian living space. A bedroom is a place where we unwind after a hard day, and as such it should be inviting and calming. Enhancing the bedroom with a Parisian themed décor is a perfect fit if you want your room to have a certain je ne sais quoi. This is especially true if you want your room to be at its impressive best with an elegant ambiance. A Parisian home is well arranged and leaves out enough space for the home to look bright and airy. Since a lot of homes lack enough space, an important décor tip for a Parisian bedroom is using a neutral color palette. Start with your walls. While white is an all time favorite color to get that Parisian home look on point, you can choose soothing shades like beige and cream apart from pastel shades to keep the living room looking spacious and chic. A Parisian inspired neutral color palette for your bedroom not only gives the décor a very elegant and chic look but also sets a peaceful environment in your home, just the way Parisians like it. Even when you are choosing furniture colors, opt for natural wooden tones to add that extra bit of panache to your space. Parisian décor also holds bits and pieces of surprise here and there. So if a bit of boldness is something you can handle, add an accent wall to get some unexpected color pop. Everything about Paris is elaborate and super stylish. 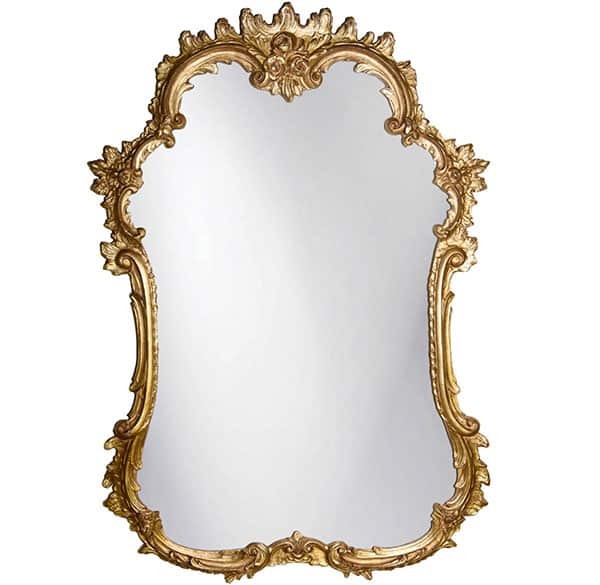 If the essence of Paris is what you want to bring into your bedroom, then a large ornate mirror with gilded gold finish is your sure way to achieve that glam look. Mirrors have always been a favorite décor element for modern home designs. Large and ornate gold gilded mirrors placed above the fireplace or on an empty wall immediately adds a classy Parisian statement to your bedroom. 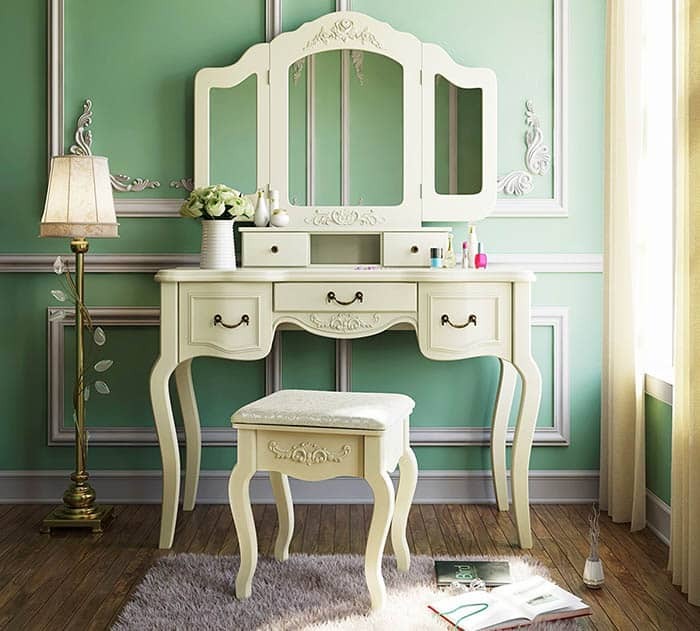 Mirrors reflect light and keeps your room looking spacious and bright, achieving a Parisian inspired look. The essence of the French style of living lies in its juxtaposition of the old and the new. Its unexpected and full of bold statements. Blend a modern home with signature French moldings that are elaborate and ornate to capture the classic Parisian décor style. Its quite an effort, but definitely worth it. Every bit dreamy and every bit luxurious, ornate moldings on the walls or the ceilings brings in the old world charm of a Parisian home effortlessly into your space. The chic and elegant look of a Parisian home is contributed a lot by its furniture too – furniture that is streamlined and modern in appeal. The mid-century modern furniture style is one of the most loved furniture designs that extend a warm and mod appeal to your space. 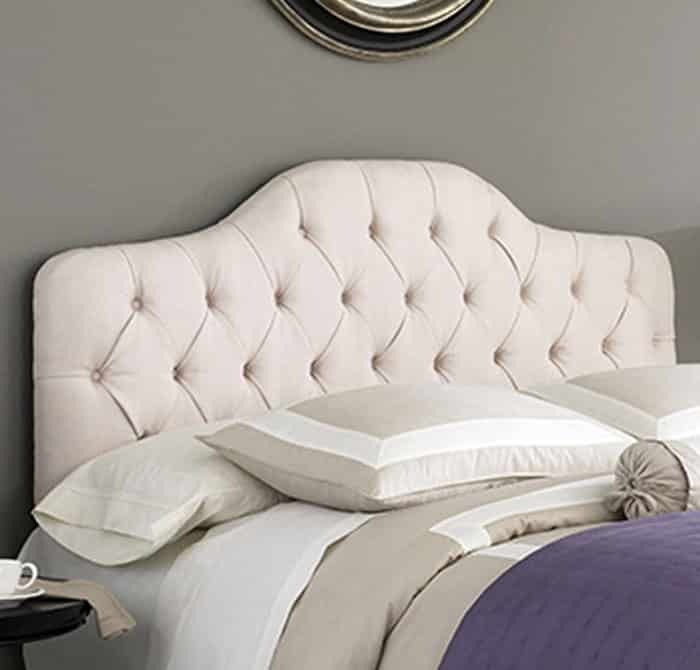 Opt for a romantic upholstered bed with a relaxed formal style, intricate details and cabriole legs. For bedroom furniture select sleek love seats, arm chairs and night tables with raised legs and smooth edges to give your home a truly Parisian inspired look. If ornate décor accessories, elaborately crafted mirrors and French wall moldings are what you are opting for, then streamlined mid-century furniture is ideal to give your living room a balanced look. Every street and every lane in Paris is immersed in its luxurious past. Its beauty lies in its stunning architecture, museums, monuments and the people of course. If you have been to Paris, you will know about its famous flea markets brimming with one of a kind artifacts. Everything unique attracts the French people and that is why whether it is their home, food or fashion, it stands out from the rest. A Parisian home would be full of worldly accessories, each with its own meaning and purpose. So wherever you go, pick up decor pieces such as, keepsakes, lamps, jewelry, mirrors, antiques and other décor accessories that is beautiful and unique. Make your home a place that holds all your precious travel stories in the form of all these accessories. 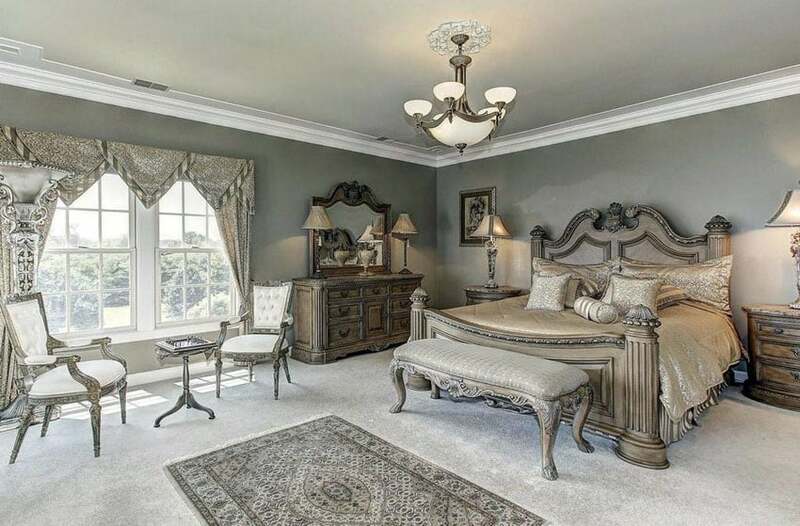 A bedroom layered with meaningful artifacts is always a visual delight. 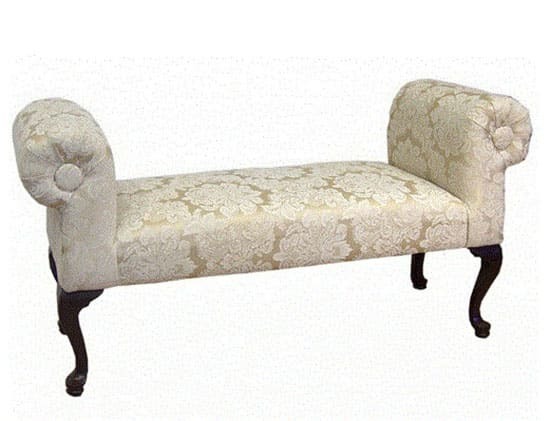 It not just adds a quintessential Parisian charm to your room but also reflects the owner’s keen attention to details. The philosophy of a Parisian décor is mixing up things – the old with the new and the refined with the rough. A Parisian home holds a touch of vintage beauty in some form or the other. Layering your home subtly with vintage accessories infuses a sense of warmth into your space. Whether it is a vintage arm chair in your seating area or an antique gramophone on your side table, the old world charm mixed with the modernity of your home is what truly makes a home look Parisian. 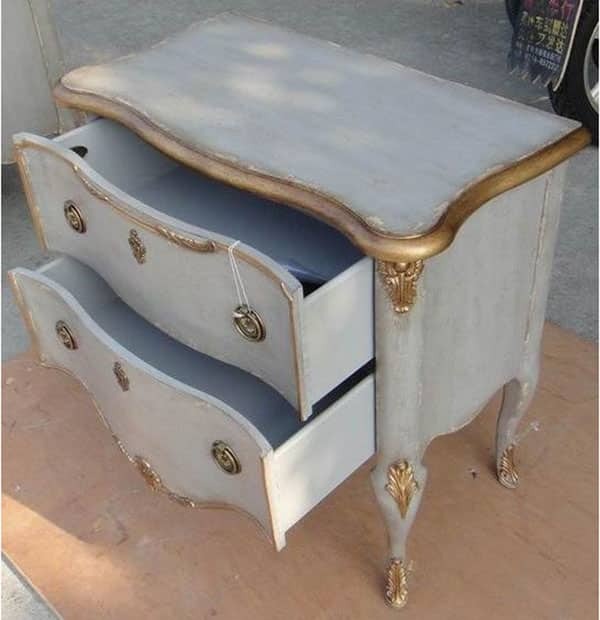 A Parisian décor is blended. It is eclectic and brings the best of the old and new together. Achieving the signature Parisian décor look is all about bringing together different styles and different eras. Not everyone has the luxury of living in a Haussmann building with classic features, but that doesn’t mean you can’t recreate the look and feel of a Parisian décor in your very own bedroom. 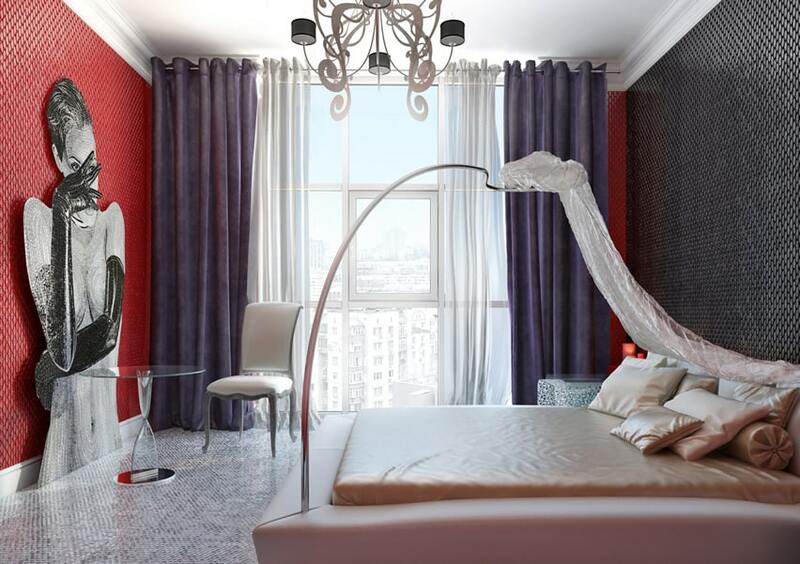 Adding some bold artwork to your room will give finesse to your Parisian style bedroom. The French love to bring in fun artwork into their décor to make it pop. Since the rest of the space would be arranged with modern furniture, vintage accessories and ornate moldings, adding some bold artwork to your space adds interest and visual appeal.